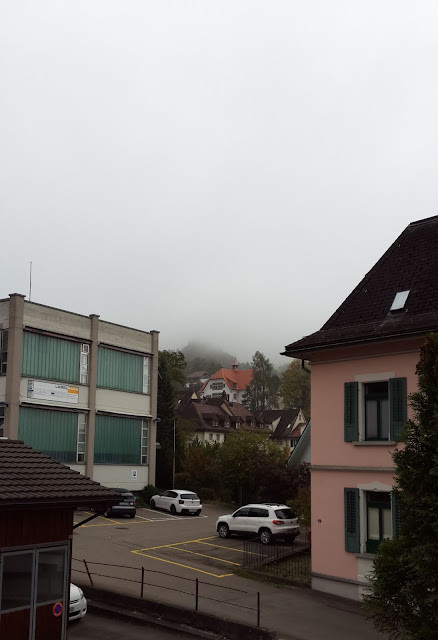 In my last post on Switzerland, I explained why we had not chosen a hotel in Zurich, a place we were visiting, and why we had selected Lichtensteig - a place some 57 kilometres away. When we reached Lichtensteig at night from Frankfurt, I for a moment thought that the place was rather too far away and may be we plan on shifting to Zürich. But we were too tired to make any decision so we hit the bed and went to sleep. Next morning I got up early as usual and went out in the balcony of our motel and sat on the chair. And then the Swiss spell took over me. The cool October morning was so refreshing that I forgot about everything else and started to enjoy the morning. Ever inhale of fresh air was so refreshing with a scent of green foliage all around us. 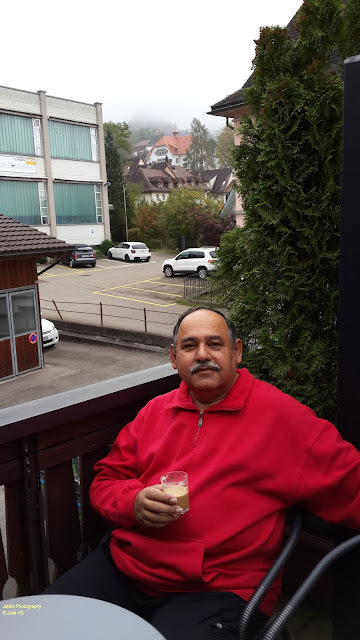 While I was being refreshed by the Swiss morning, my family was getting up inside and my younger son spotted the coffee maker with dozen of sachets of different coffee flavours. And soon he came out with a sizzling hot and fuming coffee freshly brewed for me. And as I sat there and started to sip the coffee, the complexion of the morning suddenly changed. 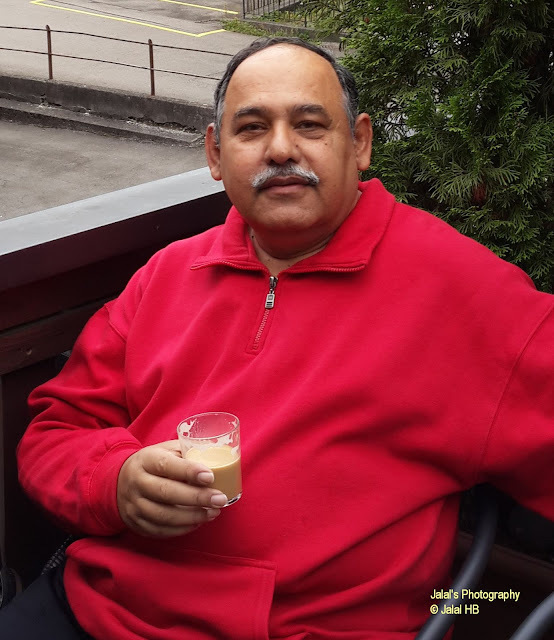 Only those who have had a coffee in an unpolluted environment like that of Switzerland can fathom the joy I felt as I sipped through my coffee cup. You may feel the refreshing effect the coffee and the Swiss morning had on me from the photo above - something that I still cherish the memory of.